Every truck driver has at least once wondered how to buy a truck while not spending too much money on it. Probably, the most obvious answer is secondary market — but what exactly should you do in order to get a used vehicle? Let us give you some expert tips. First of all, make a list of models that meet all your business needs and fall within your budget. Decide what you will use it for and narrow the field of choice. Start from choosing the type of transmission. Many experienced drivers prefer vehicles with a manual transmission while novice truckers usually want to get an automatic transmission. Keep in mind that the latter is usually much more expensive and require difficult repair work to be done in case of breakdowns. There are, however, cheap and reliable used models below 15 thousands of dollars, such as Freightliner M2, International 4400 and Volvo VNL 300 — check them out if you really do not want to deal with a manual transmission. It is better to consider various brands — this way you will be able to find a good option much faster. Another thing that matters is the comfort, considering the amount of time most truck drivers spend behind the wheel. If you are going to sleep in your truck’s cabin instead of staying in motels, then you have to buy a sleeper. These are vehicles with sleeping accommodations that provide enough space for comfortable rest. Used sleeping trucks are harder to buy since they are extremely popular — but it is still possible. Consider such brands as Freightliner and Volvo if you are looking for the highest level of comfort. When you finally find the truck that fits you the most, let a professional inspect it to make sure that it works good and does not require repair. If you cannot allow hiring a mechanic, then at least take the vehicle to a test-drive and feel it on the road – this way you will be able to understand whether or not it is the right model for you. 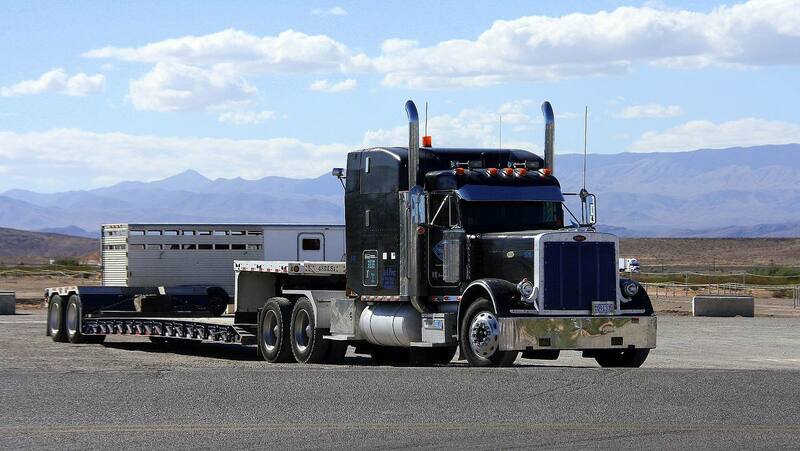 If you are very limited with resources and your goal is to get a truck for the minimum amount of money, then you should not purchase it right away. In this situation, patience is the key. The well-timed truck purchase could save you hundreds or even thousands of dollars if you do everything right. First of all, if you are looking for a truck in a dealership, then, usually, you can get the biggest rebates at the end of the month. This is the time when sales clerks are desperate to reach their monthly (or quarterly) goal, so they tend to offer generous discounts. Trucks in dealerships are sold on a monthly cycle, and you will be offered with the best prices at the end of a month. Moreover, if some model is not selling well during the first weeks of a month, the automaker might lower the price of it. Of course, there are much more nuances. Prices also depend on the popularity of the brand and model and the time of the year. Late fall and winter are the best seasons to buy a truck for the same reason — dealerships are trying to sell as many vehicles in December as it is possible in order to achieve their annual goals. They also need to make room for new models. Sometimes new versions of trucks do not even change too much over the year, but prices of older models are being lowered anyway. Keep in mind, that if you wait for too long, you will have to pick from the leftovers, since the most popular colors and models are being sold first.